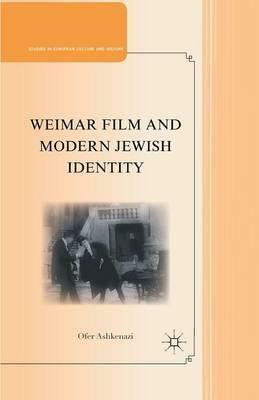 In reading popular films of the Weimar Republic as candid commentaries on Jewish acculturation, Ofer Ashkenzi provides an alternative context for a re-evaluation of the infamous 'German-Jewish symbiosis' before the rise of Nazism, as well as a new framework for the understanding of the German 'national' film in the years leading to Hitler's regime. Illustrations note 6 Illustrations, black and white; XVI, 234 p. 6 illus. OFER ASHKENAZIVisiting Assistant Professor of History at the University of Minnesota, USA.